It’s time to dust off your trainers and get your sweatbands ready. Laurie Elle has teamed up with Skittles to offer ten winners and their friends the chance to take part in the original, happiest and most colourful fun run, The Color Run, on Saturday 2nd July in Manchester. If being showered by rainbow colours isn’t enough, the lucky winners will also receive a bright Skittles hoodie. The competition ends on the 7th June so don't forget to enter! Which is your favourite flavour Skittle and why? But wait, the fun doesn’t stop there! Skittles is also giving Color Run fans the chance to take part in the happiest 5K on the planet in one of their coolest locations – Los Angeles! Thanks to Skittles, you and a friend could win the chance to stay at one of LA’s top hotels for five nights and will even get to see the sights in your own retro convertible car for a day. Buckle up, throw on those shades and let the LA breeze swoosh through your hair! The fabulous prize also includes two tickets to a fun-filled night at The Comedy Store or tickets to the colourful Getty Museum, plus $400 to help with some retail therapy. 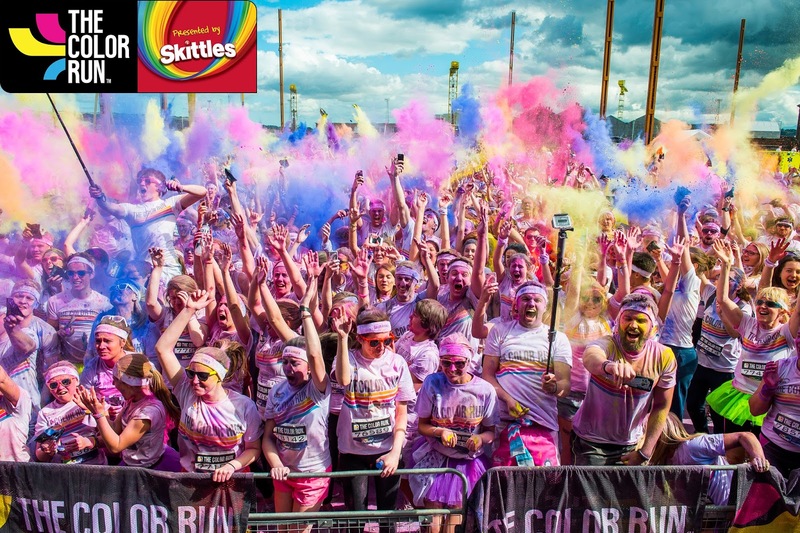 And don’t forget, if you’re taking part in any of the UK Color Runs, don’t forget to visit Skittles at the Finish Festival to get your hands on a FREE sample and continue adding colour to your life, inside and out! OMG such an exciting competition! Red OBVS, duh! I've just started running again after breaking my leg 2 years ago so this would be a great event to take part in! Yellow - they are the yummiest! The strawberry red one because I feel a burst of strawberries!